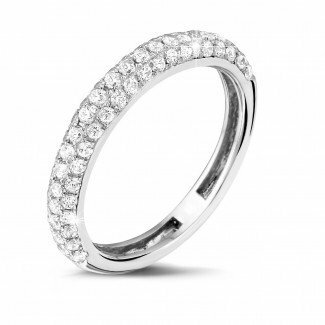 Your wedding ring is one of the most important pieces of jewellery you will ever possess. 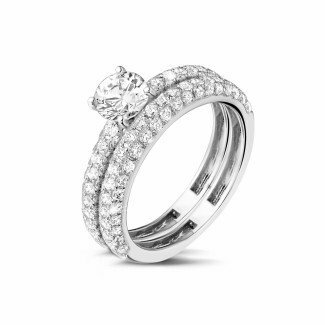 Its timeless elegance will continue to shine throughout your entire life and will always symbolise your love. 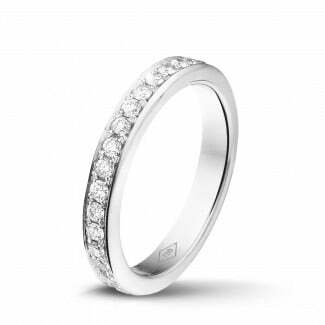 The perfect ladies’ wedding ring will suit your style and personality, irrespective of whether it matches your husband’s or wife’s wedding ring. Explore our extensive collection and find the ring you’ll be wearing for the rest of your life. 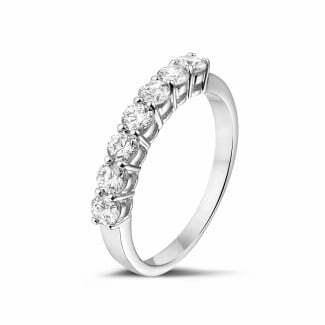 How can I choose my ideal ladies’ wedding ring? Your wedding ring is completely you. It will perfectly suit your style and personality, whatever you decide on. Even though wedding rings were traditionally also sold as sets, the emphasis has been more on individuality over the last few years. Your wedding ring is a symbol of your love and loyalty, which means it doesn’t necessarily need to match your partner’s wedding ring. You and your partner are therefore 100% free to let your personal tastes dictate which gents’ or ladies’ wedding ring you choose. This is why BAUNAT also has an extensive collection of wedding rings for ladies where style and taste are concerned. Classic designs, modern shapes, different precious metals: you can rest assured you’ll find what you’re looking for. Did you have something else in mind? Then arrange to have your gents’ or ladies’ wedding ring tailor-made. The search for a ladies’ wedding ring can sometimes be difficult as a result of the enormous offering out there. However, you will never come across a bigger collection than BAUNAT’s. We can offer you an unsurpassed price-quality ratio, as we buy all our materials direct from the source. The same top quality we offer is actually 30 to 50% more expensive in physical jewellery shops. You are therefore not just opting for the quality of handmade jewellery made from top quality materials, you will also be paying a great deal less. Can I buy my ladies’ wedding ring online? 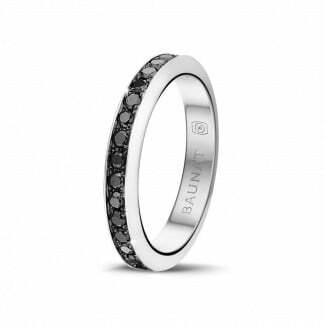 BAUNAT’s extensive online collection means you can quietly take your time to search for and choose your favourite wedding ring. Every piece of jewellery can be looked at and considered in the greatest detail, making sure you can be completely sure before you decide to make your purchase. In addition, when you decide to buy your ladies’ wedding ring from BAUNAT, you won’t just be opting for comfort, as you’ll also be able to enjoy the best possible service afterwards. With a 30 day return period and a 20 year product guarantee, you can be sure you’ll be able to enjoy your beautiful wedding ring for the rest of your life. Ready to embark on your new adventure together? 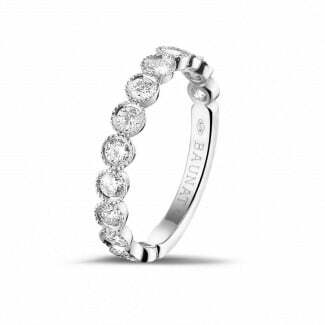 Discover the ladies’ wedding ring of your dreams in BAUNAT’s extensive collection.